I've made a few things to link up with Tara for Monday Made It! I made these photo bouquets for Teacher Appreciation Week for my childrens' teachers. Aren't they precious? And my last goodie I made was for a sweet friend for her bridal shower. She loved it and has it displayed on her front entrance table. 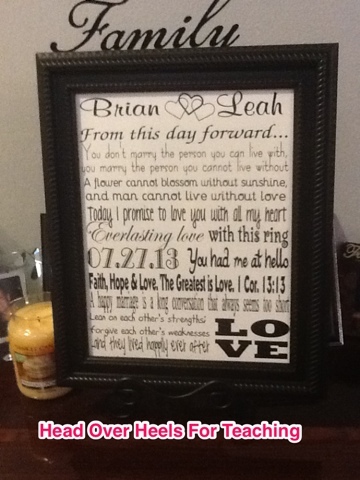 She's also going to use it at her wedding as a decoration for the guest sign in table! 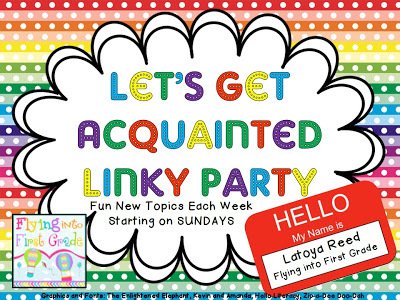 I'm also linking up with LaToya for her Let's Get Acquainted Linky-it's a great way to get to know all our bloggy friends a little better! This is a tough question, there's so many rewards when you love your job! I think one of the most important aspects in my teaching career has been the relationships I've built with my students and their families. I work very hard at building relationships with my classes. I think this is why they're so motivated to work for me. As a matter of fact, I'm having dinner with two of my former students tomorrow evening that I had 12 years ago! (I will be meeting their new babies too!!) Relationships last forever! 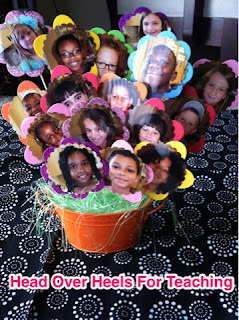 I love facilitating workshops, so I'd love to be a teaching consultant. A lot of teachers only like speaking in front of students, but I enjoy both kids and adults! 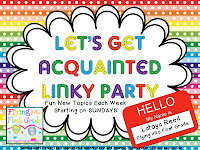 Head on over to both parties to get some great ideas and learn more about each other! Love the gift you made for your friend (no suprise there). I love what you said about building relationships - it is fantastic that you are meeting up with former students for dinner!! Have a great time. I LOVE the gift you made for your friend! 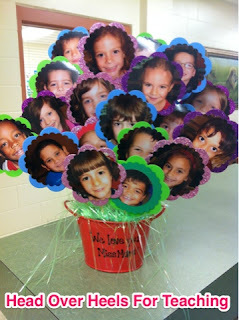 The picture bouquets are also cute! I think a teaching consultant would be a fun job and I love what you said about building relationships with your students. It is so true! You are so creative! I love the flip flops and wedding gift. Your post made me think about how old my first group of students are...they just entered high school! 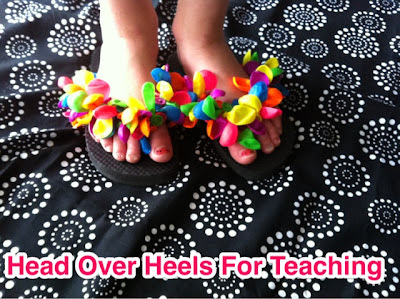 I just love those flip flops!!!! So super cute! Like I would totally wear those for me!!! Your other ideas were adorable too! 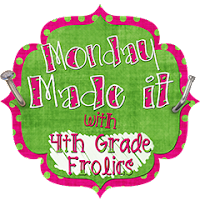 Thanks for linking up your fun!! !